Malaysian-based Mitraland Group has lodged plans with the City of Stonnington for a 20-level residential tower within South Yarra's Forrest Hill Precinct. Designed by Fender Katsalidis, the 61-metre high tower at 649 Chapel Street is expected to have an end value of approximately $50 million. The 500sqm site is currently occupied by a two-storey commercial/retail building. 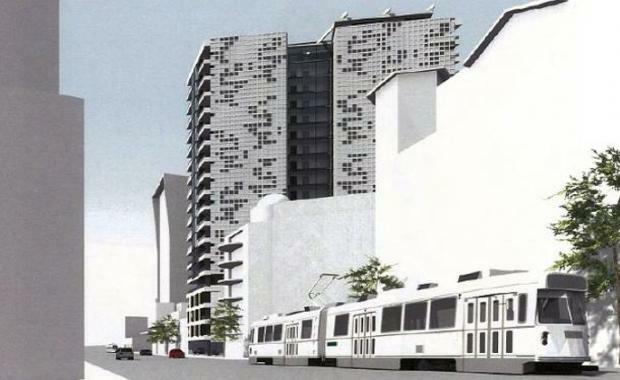 The site has previously been the subject of a planning submission for a 17-level building with 82 apartments, however the submission was not approved by VCAT. Mitraland Australia is the Australian affiliate of Petaling Jaya-based Mitraland Group and has completed a range of medium and high-density residential projects mostly in Kuala Lumpur. It's the latest Malaysian developer to enter the Melbourne market after developers such as SP Setia and Mammoth Empire.